Welcome to your secure treatment page. Here you will read about your treatment options so you can choose the right one for you. If you can’t find the information that you want then please email us or call 0844 884 9392 and we will be happy to help you. Most people find that one bottle will last 3 to 4 months when used each day. 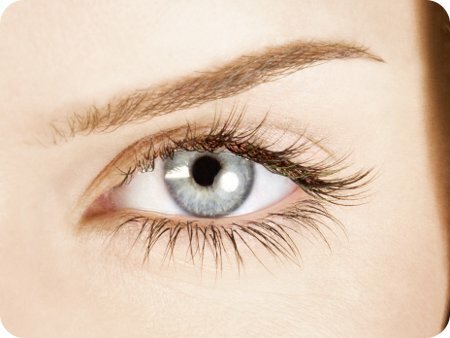 After 4 months your eyelashes will be at their peak length so you can drop down to using it every second day. The Mylash set comes with a precision applicator. We have carried out extensive research and found that this applicator minimises wastage and allows for a more accurate application. Other brushes are significantly thicker than the Mylash brush and many people find them excessively large and wasteful. To gain approval for the American market, a treatment underwent clinical trials to satisfy the American FDA (Food and Drug Administration). The studies were carried out on healthy individuals and found that after 16 weeks the average study participants eyelashes were 25% longer, 106% thicker and 18% darker. Mylash is run by British medical doctors who review your medical details when you place an order. We prevent certain groups of people using the treatment, such as pregnant females – although there is no evidence that it would definitely cause harm to an unborn child, there is no evidence to prove that it is entirely safe. We have patient safety as our priority and we only offer treatments to individuals that are suitable. The most common side effect of the treatment is irritation at the site of application which was seen in less than 3% of people in the trial. If you have any specific medical questions then please feel free to contact us at any time. As Nature Intended. Maximise lashes before the party season with Mylash. Applied to the root of the lash every night, this wonder treatment will double the length and thickness, with results in three months. One of the best beauty treatments to date. The promise: Twenty five per cent longer, 106 per cent thicker and 18 per cent darker lashes in three months. The lowdown: Mylash uses a prescription only formula that was originally used in the treatment of glaucoma. It’s already a cult treatment in the US. After a consultation, I apply a thin layer daily along my lash line until the lashes reach my desired length (it takes three months). The results: Beyond what I hoped for – my lashes are longer, darker and thicker.